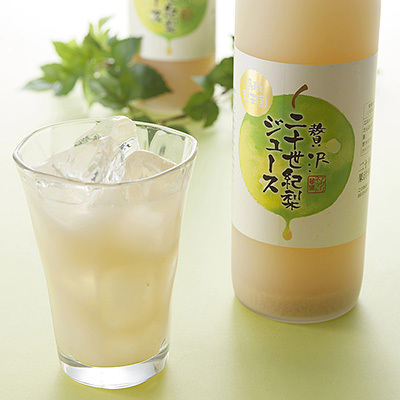 A luxurious Nijisseiki pear juice made from pears squeezed whole. 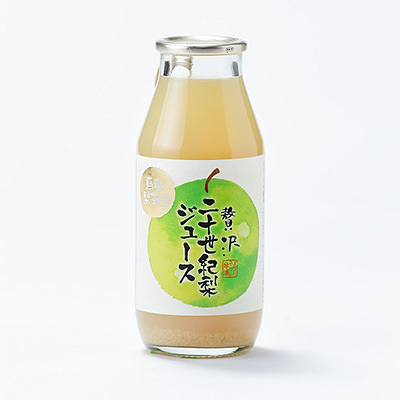 This product contains 99.9% juice of the Nijisseiki pear and vitamin C.
We created this product so that you can experience the flavor of the Nijisseiki pear. 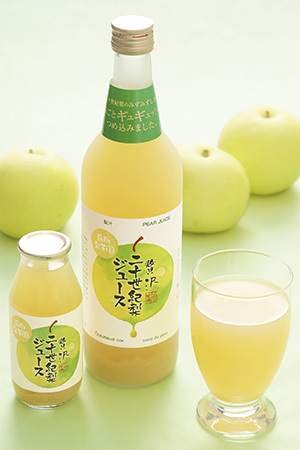 Nijisseiki pears have been cultivated in Tottori Prefecture for around 100 years. 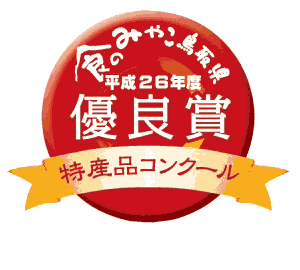 The flower of the Nijisseiki pear is designated as Tottori's official prefectural flower. This pear has a distinctive fresh sweetness and a succulent flavor. Chill thoroughly and shake well before drinking. Natural solids present in fruit juice may float in the juice or sink to the bottom of the bottle. This does not impact product quality. No preservatives are used in this product, so please refrigerate it after opening and drink it while fresh. On August 29th, 2014, a commendation ceremony was held in the Tottori Prefectural Office reception room. Prefectural Governor Hirai sampled our product. 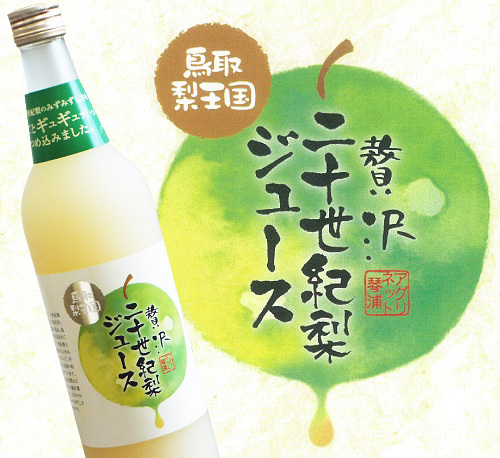 Mr. Hirai commented that this Nijisseiki pear juice, the like of which hasn't been seen before, had a fruitiness and rich, delicious flavor. We were very pleased that our efforts to create a product that was a step above were successful and that our repeat customers are steadily increasing.